with Folger's in your cup and your camera in the other hand. That has got to be the best way to start a day! I agree, I love visiting the horses first thing in the morning. Yep. I woke up to a gorgeous sunrise but this beats that by a mile. Wow, you have posted some great photos since I've been following you but this one is outstanding. Especially if it is the Breakfast Blend. 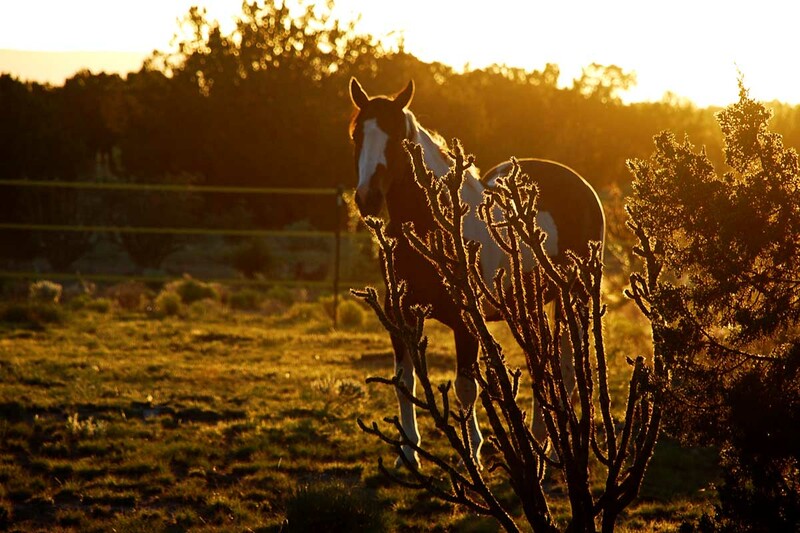 I love sunrise pictures and horses complete them. Friday question--How far is Walmart? You know us southerners need a Walmart? Is your mail delivered? Especially when that coffee has been brewed in a high altitude coffee maker! Great shot of Hank. A lovely shot of Hank! I started my morning greeted by happy noises coming from my 11 month old daughter's room. Heaven! I am in total agreement, and it looks like Hank is as well. Gorgeous. What a blessed life you lead. Mornings are my favourite time of the day, as well. There's still a woozy sense of peace, before the hustle & bustle and noise of the day begins. Celine has taken to perching herself on the edge of my pillow in the morning, purring loudly. It's quite heavenly. I'm trying to put your words to the Folgers jingle and it's not working. Now that song is stuck in my head. Thanks, Carson! What a beautiful sight. So happy and bright! what a beautiful start to your day !! Not so sure about the Folgers, not my favorite coffee, but the rest of it you got right! Great photo! That photo is stunning!!! I can't thank you enough for it - I'm a late riser so I depend on your sunrise photos to see what I'm missing! YUP...GIVE Me STRONG coffee..my camera and my mare..anything is possible! Heck yeah! But I don't have a horse :-( So I go out to see the cows. It's like I'm there with the two of you. Breathtaking. Awwwwwwww...what a pretty boy. And the same goes true for, waking up and going out to the barn in a downpour, feeding sweet timothy to the dry cozy mini guys and sipping your cappaccino made from your mix from Sam's....awesome. Add some horse munching for atmosphere...delightful.